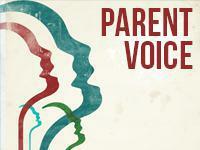 Brook St Voice is a parent/carer group set up to give parents a voice in school. It is a more informal line of communication between home and school. Each class has parent representatives who are available for any non – urgent concerns or questions. They will be able to pass on ideas at the half termly Brook St Voice meetings. This newly formed group have met to discuss a variety of topics including homework. attendance certificates, plant life around school, congestion around the gate, a suggestion box, updating of noticeboards, using social media for advertising and communication, reminder to parents about parking, clubs for infants and date reminders. We have had positive feedback from the parents who attend and some good quality discussions about concerns that they have and some excellent ideas which have been used already in school. All parents felt it was much better with the large gates open in the mornings, which we have done. Parents would like school to continue to line up the children before coming into school, with staff then collecting their class from the yard, as felt it was a much calmer start to the day. It was suggested that we advertise Nursery places as most parents hadn’t realised we had a Nursery – a large banner has been made and put up outside school. Parents felt updating the notice boards in the school yard more frequently would improve communication. Mr Bomford has actioned this, please look out for new information on the notice boards. If you would like to become a member of the parent voice or you would like something added to their agenda kindly call at the school office. New members are always welcome. Please contact the school office for information.